Home›Issue›June 2017›Bagels, Bread and Beer, Oh, My! 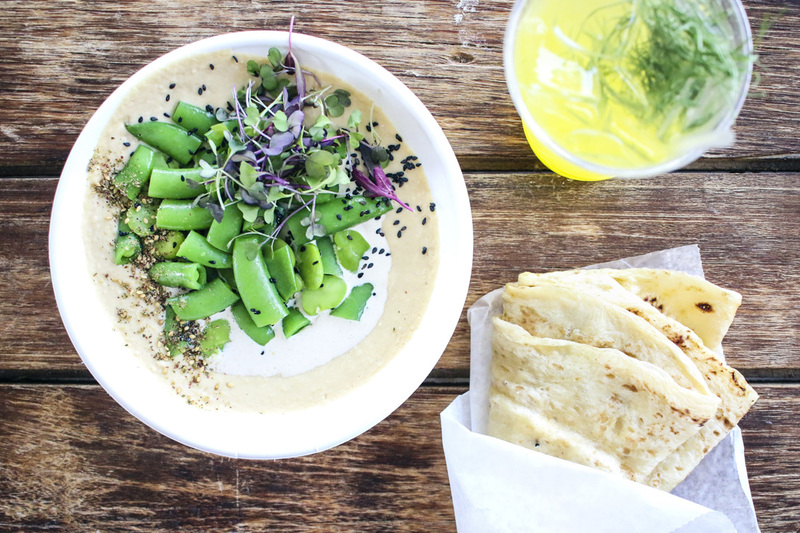 Grab a snack of warm, fresh pita, hummus and gourmet soda at Yalla. Tech Square is celebrating the arrival of its newest neighbor, The Canteen, a “micro food hall” from the team at The General Muir. At press time, The Canteen was set to open by June and will include a General Muir spinoff called TGM Bagel, as well as Square Bar, a juice-and-smoothie bar by day and a full bar by afternoon/evening. Other food spots within the project at 75 Fifth Street include Fred’s Meat & Bread and Yalla, both of which also have locations in Krog Street Market. The Canteen has been named one of the top 10 most anticipated restaurant openings in Atlanta by Zagat.